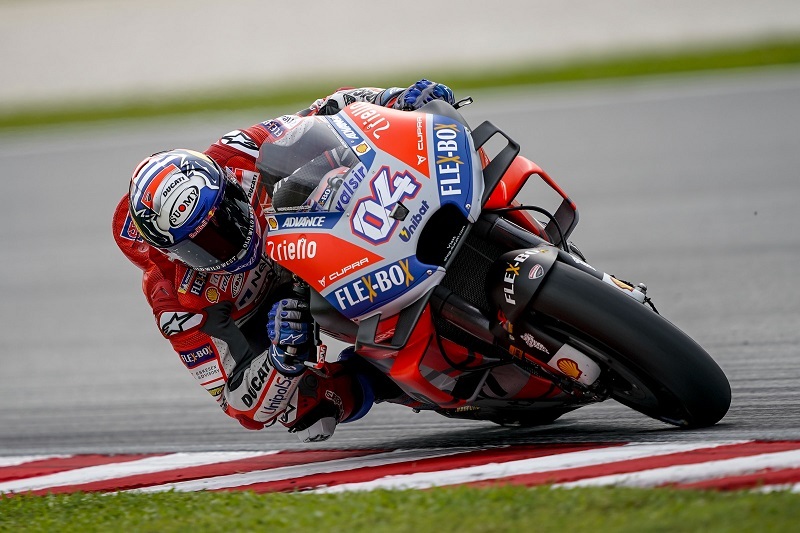 Andrea Dovizioso had a positive start today to his race weekend at the Sepang circuit, where the Shell Malaysia Grand Prix will be held on Sunday at 15.00 local time (08.00 CET). The Ducati Team rider ended the day in second position, with a best lap of 1’59.697, which he set in the morning session. It was a difficult return to the track for Jorge Lorenzo, who is recovering from last week’s operation on a ligament of his left wrist. The Spanish rider, still in some pain, only did a few laps in both FP1 and FP2 and he ended up down in 24th place. In the evening Jorge will undergo some physiotherapy and pain-killing treatment and will decide tomorrow morning if he is able to go out once again on the Malaysian track for the FP3 session.